Another reason to avoid Vista: it cannot subtract. (I suppose we already knew that with the math bugs being found in Excel.) According to Microsoft propaganda, the company hires the smartest people in the world. Yet, they cannot subtract. My uncle had one of his sermons posted to his German church's Website. My parents wanted to hear it, but are not savy in the Way of The Podcast. So, I downloaded the 30-minute MP3 file, converted it to WAV, and then wanted to burn it to a CD -- which they could listen to in their car. Windows could not determine the length of the WAV file. Amazing, because there is a one-to-one corespondance between WAV file size and CD capacity. CDs hold 800MB of data, including WAV files that are just 319MB. The math is simple: 800 - 319 = sufficient space. So, I switched to Roxio Creator Basic (included with Vista) and it had no problem (1) determining the size of the file; and (2) burning the CD. I have an HP PhotoSmart P1100 printer, which has worked flawlessly in the 5-6 years I've owned it, so I don't need a different color printer for printing photographs. The printer will work from Vista, but the grainy result isn't worth it. Before the Microsoft fanboyz chirp up with silly excuses like, "Do you really expect a 5-6-year-old device to be supported today? ", I'll point out that Vista includes drivers for the HP LaserJet III, one of which I purchased around Christmas 1990. The question was asked in an earlier posting when I complained that Vista did not support my three-year-old Zen Micro music player. Do I really expect Microsoft to support a three-year-old piece of hardware? Yes. Especially on an operating system that began development (apparently) six years ago. With Vista being such a poor operating system, I was hoping this weeks triple update would fix some of the problems. My Vista-equipped HP notebook computer downloaded the 22MB of updates, rebooted, and then was screwed up. Neither the mouse nor the built-in nVidia graphics board worked. (I could use the built-in pointing device, and had to run the widescreen LCD at an eye-straining 1024x768 -- due to the incompatibility of Vista's preset resolution and the widescreen LCD, the display is blurry.) The nVidia driver complained that the resources it needed were unavailable. I uninstalled the three updates, each one needing its own reboot. But the Code 12 problem persisted. I did some research using Google, but eventually contacted nVidia support for a solution. I'll report on the response. nVidia says it's not their problem. NIDIA provides mobile GeForce and Quadro GPUs to laptop and notebook manufacturers only. We do not make or sell add in cards for laptops. Please contact your laptop manufacturer for further information regarding this issue. Me: The problem occurred after I installed updates for Vista. HP: Which operating system are you using (98, Me, 2000, XP, Vista)? Me: I've uninstalled the updates, rebooted the computer. HP: Try uninstalling the updates and rebooting the computer. Me: I've also uninstalled the nVidia driver and reinstalled the latest one. HP: Uninstall the video driver. After some time, the tech support guy gave me a file to download and install. It is the same nVideo driver I've previously downloaded and re-installed. So, no change. I've since figured out that the mouse does not work because Bluetooth is also not working on the computer (and it's a Bluetooth mouse). Me: It might be a BIOS problem, rather than a driver problem. HP: Try resetting the BIOS. If the BIOS reset does not resolve the issue then I suggest you to restore your system back to factory settings. I reset the BIOS. No change. I find it curious that the techies are not making any attempt to resolve the problem indicated by Code 12 -- and the interplay between the nVidia problem and the Bluetooth problem. Oh, and the printer no longer works, either. Next session with HP support. They gave me a BIOS update to install. Didn't make a difference. Final session with HP support. They had me do a roll-back to yesterday. My computer works correctly again. This, however, does not solve the problem of installing Microsoft's Vista updates, some of which might solve the problems the unpopular operating system is experiencing. So, that took just over eight hours to solve. Anyone going to pay for my time and frustration? Thought not. I've mentioned it before, but now a Microsoft employee admits to the problem in his blog. Windows Vista does not properly playback sound -- whether from CDs, MP3s, or DVDs. The problem is that Vista has so much going on that sound playback occasionally gets a low priority, resulting in a split-second blip or gag every few seconds. The problem is severe enough that I reinstalled my 15-year-old Pioneer cartridge-CD player in order to listen to music. What Microsoft hasn't admitted yet is the reason Vista has so much going on that music becomes a low priority for my computer's dual CPUs. Was it so poorly programmed compared with XP? So, avoid Vista if you love music (or watch movies on a PC). Even when powered with dual CPUs, Vista is too weak to keep up with a, oh, Nano iPod in smooth music playback. Put yourself in China's place: if you feared Mr Gates the most, how might you deal with him and his organization? During the life of Windows XP, it was popular enough that Microsoft Canada (1) never put it on sale; and (2) consistently over-charged customers for it, relative to the Canada-US exchange rate. The upgrade price for XP Home was almost always $149 in Canada, $99 in USA -- even when the exchange rate would have priced the monopolist's product at $129 and lower. Not so with Vista. Mere months after it became available as a retail product, it is being sold at a discount nearly non-stop. Yesterday, on Amazon.ca, some of the myriads of Vista variants are 15% on sale, and featured on the front page, meaning Microsoft is also paying for product placement. Today, we read of Dell warning corporate customers against upgrading to Vista: Dell is "stepping back" from telling people they must upgrade. Dell and other hardware vendors are giving customers OS options, unheard of in the years when Microsoft was still able to instill fear in its "partners" and the media. (At one point, Microsoft was arrogant enough to attempt to suppress sales of "white boxes," computers sold without an operating system -- the kind of computer I buy.) Other reports now show that Vista has had a dampening effect on the sales of PCs -- rather than the billions in economic boom that Microsoft spinners boasted for Vista. And one more report of significance: more programmers are switching away from Microsoft's lock-in APIs and programming languages. More proof that Microsoft has peaked and is now on the downward side of its influence on the computer industry. iLounge: New Zune on Monday? ClicZune: Zune Announcement on Monday? Engadget: New Zune at Microsoft event on Monday? CrunchGear: Major Zune Announcement on Monday! Are Windows Error Msgs Easter Eggs? Easter Eggs are hidden bits of code designed to surprise and delight you. I sometimes wonder whether messages from Windows fall into the same category. Last year I reported on the warning from Windows that my notebook computer's battery was low, and that it should be plugged in to recharge -- even as Windows also displayed the lightning bolt icon that indicates the battery being recharged (which it was). This week I set up my dad's new 17" Toshiba notebook. He still uses dial-up, and to test his Internet connection, I needed to add a "1" to the phone number to call long distance to his ISP (my dad lives in another city). Windows ME Second Edition (err, Vista) asked if this was a temporary change, and I replied Yes. The next day my dad called to say that he couldn't connect to the Internet. He drove out to bring over the computer, and I quickly found the problem: Windows had retained the "1" as part of the phone number. Vista: Microsoft's best OS yet! That bug cost my dad $30: $10 in gas to drive out here, and the $20 he pays me to fix his computer problems. I plugged my Zen Micro MP3 player into my notebook computer today, and came across another Windows Easter egg (er, message). This particular Compaq notebook has three USB ports, all high-speed USB2. I clicked the balloon see what would happen. Windows XP displayed a helpful dialog box (illustrated below) listing in boldface the USB port it suggests I use instead. Can you imagine the confusion experienced by neophyte users? * Windows XP lists 8 USB ports, but the computer has just 3. * Only one port is shown in use ("USB Mass Storage Device"), but all three USB ports are in use (by a mouse, an external hard drive, and the Zen Micro). * The port that Microsoft programmers suggest I use is the one highlighted in boldface, the root hub! How do I plug into a root hub? * The list of ports has a white background, meaning the items are accessible and changeable by the user; but I cannot. It is merely an information list, and should be shown with a gray background (to indicate read-only). * No online help for this dialog box, except for the handy Close button. As it turns out, this is a false error message. I had the Zen Micro hooked up to a special USB cable, and I suspect it fooled Windows. Here's egg on them. * You must be logged in as administrator to change this setting. * Upgrade has been disabled. 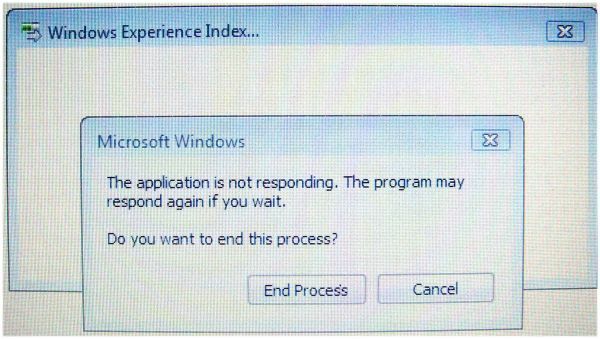 * Windows is trying to determine why Internet Explorer is not responding. * To help protect your computer, Windows Firewall has blocked some features of this program. * Genuine validation required for Windows Vista. A properly licensed copy of Windows Vista that has passed Microsoft Genuine validation is required to enable certain features and obtain non-security updates and product support. * This installation is forbidden by system policy. Contact your system administrator. He asks, This is the progress we've made 30 years after the PC revolution began? It is time for another worker rebellion. Today's rebel is wearing a Google T-shirt, carrying an Apple laptop and promoting their company from a Linux infrastructure they don't even own. And for the new rebel generation that has grown up with computers, they see the Windows Vista PC, not as a tool that will help them build their dreams, but a barrier whose end user license agreements, restrictions on content, and closed development processes stand in their way. Thank goodness we no longer need to fear Microsoft. I'm writing this with Windows Live Mail Beta. I'm trying to figure out how this is better than the old Hotmail interface, and how Microsoft is going to reconquer the Web with their Live initiatives. I think I'll be wondering for quite a while. There's nothing here that is new, innovative, or even better. And some parts just plain don't work right (like the address list). Yes, it's beta, but so is Google Mail, and GMail is a dream compared to Windows Live Mail. My wife uses Hotmail, and occasional gets email from Microsoft about 'exciting new changes' -- which she erases without reading, because she just wants to read and send email. In the meantime, I keep using Eudora, which is unencumbered by upgrades. * Microsoft uses Zune to pat friends on the back. * My Experiences with Windows Vista…and Why You Must Upgrade. * Microsoft Cherishes Its Young. * Microsoft Music Partners Thrilled with Changes. * Iowa antitrust case: Software developers called Microsoft 'friend'. That's because 10-15 years ago, Microsoft pr or its hired hands would be on the phone screaming bloody h*ll at any journalist that didn't respect the natural superiority of Chairman Bill and his Gang that can't shoot straight. As a Microsoft evangelist said, "...I talked about how you're [Microsoft] using the pawns [independent developers] and you're going to screw them if they don't do what you want..."
And so consumers suffered from reading mistruths from cowed computer journalists who wrote about how wonderful it all was. Because it's painful being screwed by the world's largest software company. But after a while, you want to regain your dignity, and so you decide to switch to writing what's right -- not what's easy. Gates aims to be digital content king: Microsoft chairman, in CES keynote speech, sees his company as an all-purpose gateway. The monopoly in OS and office software is insufficient. Gates now greedily wants to control the flow of all things digital. It would appear that the Gatesian dream has changed from "information at your fingertips" to "information through my fingertips." He is no longer satisfied with providing tools that let us acccess information more easily; the world's richest man now schemes to determine which information we will be permitted to see, and how -- and then charge us each time. I think a positive-because-it's-so-negative result of Zune is that it added fire to the DRM [digital rights management; aka copy protection] debate, and whether we [Microsoft] should start regretting how much of a DRM darling we've become. Only if all information is DRM'ed can Gate hope to become the controlling gateway. But we have hope: there are indications that 2007 is the year that DRM begins its death spiral. Last week came proof that Peter Gutmann's thesis is not FUD [fear uncertainty doubt]. The computer science professor from the University of New Zealand describes how the Vista operating system is fundamentally flawed. The Gutman paper lists several doomsday scenerios. The most serious, in my opinion, is Microsoft's ability to remotely shut down all Vista display drivers should a security flaw be found. (Your computer would still run in VGA mode, at a tiny 640x480 resolution and a mere 16 colors.) The security flaw could be something like a cracker finding a way to copy videos -- a security issue that concerns Hollywood, not your business. And now the first shutdown has occured. All over the world, at the same time on December 31, the same Media Center tv tuner feature in Vista RC1 [release candidate 1] beta simultaneously stopped working. The problem is not with the tv tuner component, reports Ina Fried of CNET, but with two subcomponents, MPEG2 decoder and Dolby Digital 5.1. Microsoft had paid royalties for licenses to use these subcomponents only until 31 December. They will not be reactivated in RC1. The problem affects as many as five million computers, including those using third-party tv tuners from nVidia and Cyberlink. "I can see now why people go for the bootleg versions of software," says Andy Rodon on the Windows Vista newsgroup. "I have done everything correct. I registered for the Beta program and downloaded from the Microsoft Web Site, and now I can't use the software I wanted to use." This is the first timebomb to go off in Vista, and Microsoft did not warn its customers ahead of time. How much might your business be disrupted by this sort of Vista-induced instability? Microsoft's has a slothful track record in fixing secuity flaws; last year, for example, Internet Explorer was usafe for users on 284 days (ref: Brian Krebs on Computer Security). Imagine a business having 77.8% downtime a year. I think that the Zune's failure to launch will become a textbook case study for students of business and marketing. * Valleywag: Zune Abandons hostile blogosphere. Microsoft's marketers had entertained a fantasy: that the blogs, which increasingly determine buzz on products, would embrace it; the virtues of digital device would spread, virally, as people exchanged music with their friends; and a traditional press relations campaign, with a focus on tame business and national titles, was redundant. Microsoft's approach to launching the Zune feels a little bit like a politician managing expectations. First they try to build up as much hype as possible. Then when it looks like the poll numbers aren't coming in as high as they promised, they insist that they expected it would be a tough fight. But when all the pundits start writing off the politician as dead, they come back and say things are trending up, and that they're exceeding (internal) expectations. * Reuters: Microsoft to ship over 10 million Xbox 360 units by the end of 2006. * Associated Press: Microsoft: 1M Zunes to be sold by June. - Units in transit [between Toshiba and warehouses]. - Units sitting in store inventories [and warehouses]. I wonder what percentage of sold units are unsold? By using dates set far into the future, Microsoft makes its tiny Zune sales numbers look much bigger. The Zune's been selling for two weeks; by using June as a yardstick, Microsoft is able to exaggerate sales by 1,200%. In the old days, stating numbers far in the future was useful, because most people forgot about them. Companies then could re-issue new numbers whenever it was convenient to them. The good thing about today's army of bloggers is that a few will remember the "1 million" claim next June, and call Microsoft on it. Carl Howe confirms that Microsoft is overstating its XBox 360 sales by a million, through use the of channel stuffing. He explains how in Microsoft Press Releases: Read Between the Lines. Wasn't channel stuffing declared illegal (after companies were found to be shipping bricks inside cartons, in order to boost their year-end numbers)? In the first 36 hours, three million copies of FireFox 2 were downloaded. In the first 96 hours, three million copies of IE7 were downloaded. "Microsoft officials declined several requests for interviews to discuss the company’s first year progress on Live -- the initiative which Microsoft CEO Steve Ballmer recently pegged as Microsoft's number one priority." The sound of silence tells us there is an internal crisis, because Microsoft PR hasn't determined yet how best to spin the bad news. (Perhaps they were exhaused from their hard work condeming those who revealed flaws in IE 7 earlier this week.) A search engine research firm last week noted that Microsoft's share of the search market fell from 8% to 6% -- a Macintosh-like marketshare, one might note. Pete Wright used to write books and programs for Windows. On Sept 11, on his Weblog, Strange new worlds, and programming languages..., he describes his bitter experiences with Microsoft, ones that strangely parallel my own: "Good bye Microsoft; Pete has now left the building!" I'm on Microsoft 'influencer' lists, email lists where Microsoft people try to get me to tow the company line and say great things about them and their products because it's perceived that I have an audience. The times that I've deviated from that line though I've found myself well and truly out in the cold. One particular 'evangelist' even went completely silent on me after I pulled out of a speaking engagement due to appendicitis. Nothing was said, but the sentiment was obvious. On this very blog I announced InkuDoku, a Sudoku for Tablet PC. Soon after I did, Microsoft released the one they ship with UMPC for free, and a program manager actually emailed me with an offer of cash if I'd write an article merging my work with theirs, along with an apology for shooting my work in the head – purely accidentally of course. In related news, John Naughton of The Observer writes "Why Vista will mean the end of the Microsoft monolith". Why does this pair of headlines (both appearing yesterday) worry me? * Microsoft to sell software tools for games - AP. * Microsoft warns game developers of security risk - Yahoo. This appears to be proof that Microsoft still doesn't get it -- akin to its disastrous decision to allow VBA macros to be stored in Office documents. My son wanted to upgrade his computer from Windows 2000 to XP -- for the sole reason of being able to play certain games that work only with XP. He did the legit thing: purchased the overpriced XP Upgrade box from Future Shop. He called me from the store: "Dad, the box says it upgrades from Windows 98, 98 Second Edition, or ME. Will that work?" "Sure," I said. "We have a copy of 98SE." I thought it odd that the XP Upgrade would not upgrade from Windows 2000. 1. Reformat the hard drive. 2. Downgrade by installing Windows 98SE. Things stalled when it got to formatting the hard drive during the 98SE setup. It needed to boot off the 98SE CD, but wouldn't. My son's first idea was to burn a 98 boot disc on CD, but that's not possible, at least not from DOS. I suggested providing a floppy boot diskette, but he said his floppy disk drive never worked. After substituting drives, checking cables, and switching cables, I determined that the power cable wasn't working; substituting a different power cable, and the floppy drive worked. Except that it didn't matter for the 98SE setup. Then I noticed that a dir d: listing showed garbage on the 98SE Setup CD. The CD disc is no good, I thot. I put the CD into my computer's drive, and it worked just fine. Maybe my son's computer's DVD drive is no good. We swapped drives. No difference. I put in another CD. Identical garbage displayed by the directory listing. Then a thought struck me: his hard drive is formatted for NTFS (the file system used by Windows NT, 2000, and XP), but he was trying to install 98SE, which uses the FAT file system. Still, that wouldn't explain the DVD drive display directory garbage. Next idea was to use the Maxtor disc to reformat the hard drive for FAT. I asked for the CD, and as he flipped thru his collection, I noticed a laser-etched CD. "What's this?" Oh, that's the XP setup disk. I checked the side of the box: sure enough, it works only with 98, 98SE, and ME. On a hunch, I stuck the XP disc in the DVD drive. It spent some time loading drivers. "Don't get your hopes up," I warned my son. Setup complained it could find no operating system on the disk. "This is the end," I thought to myself." Then it asked me to stick in the CD for any of the following operating systems: Windows NT, 95, 98, 98SE, 2000, or XP. I stuck in the 98SE disc, Setup pondered it, and then asked for the XP disc back. Installation continued normally. Why does Microsoft lie that this XP sidegrade doesn't work with Windows 2000? I need to send a bill for my wasted time to billg. It's not just Microsoft's pr people who terrorize journalists. Other vendors do it, too. A billion-dollar-a-year corporation threatening a law suit is a great way to shut up a journalist. It's been done to me. "... they felt I had given a year-old story a fresh coat of paint..."
The terriers try to spin the story as an old one. Other versions I've heard include "Let's move forward", "That's not relevant today," and "Our users are more concerned about..."
"...sensationalized it for an audience that wasn't affected by it." The terriers try to persuade the journalist that the item isn't worth the ink he's wasting. Variations include "Our customers tell us that what they are really concerned about is..." and "A recent poll from a leading research firm tells us that..."
"Has anybody ever written to you about this?" * The subset I described is only a "fraction of a fraction" of the geeks who are my regular readers. * Issues that matter to so few, and to me, shouldn't be projected to a larger audience in 48-point type. He sums it up this way: "...lots of people ... understand why breaking a promise, and saying nothing about it, matters. It’s not about code. It’s about character." This particular year, the Microsoft attendees were being pouty. I suspect the contingent, with their joined-at-the-hip PR advisors, were told to attend COFES. They sat glumly in a clump, looking as if they were wishing the weekend to hurry and end. No surprise: they had no point of reference with us CAD types whooping it up. Another editor noticed the frostiness directed towards me in particular. Feel the ice. These were people with whom I worked with in earlier months, but now there was only animosity. I was determined to find out why. All meals were served to all attendees at the same time in a supersize tent, and so I took the opportunity to sit down with the hard-faced Microsofties. After a couple of sentances of small talk, I asked directly, "What's wrong?" "Nothing," was the weak-kneed lie from one of them. Well, I thought, if they weren't man enough to deal with relationship issues, then I had no time for them. The end. In an earlier entry on Microsoft's mistreatment of me, I reported how the company's pr firm harasses member of the media. It's one of their psychological tactics to ensure information about Microsoft is disseminated in an manner approved by the Higher Masters. With Microsoft's purchase of Visio, and with my involvement with Visio, the "relationship" with Microsoft began anew. In mid-July 2000, I was invited to meet with numerous Visio-turned-Microsoft employees to talk about the future release of Visio 10. Towards the end of the day-long meeting, I was introduced to my new pr contact. She was young, from one of Microsoft's external pr firms, and seemed pleasant enough -- but that's how they are trained to be. The Inner Rottweiler had not yet been unleashed. From the unpleasant dealings with Microsoft's external pr firms I had experienced a decade earlier, I know what to expect, and how to react. Sure enough, it didn't take long. The pleasant young lady called after just about every issue of Visions.eZine -- to complain. And so I unleashed the counter-tactics. Whenever she yelled at me over the telephone, I yelled back twice as hard. After a couple of such phone conversations, I no longer heard from her. And since 2000, I have mostly had the silent treatment from Microsoft (as the next story describes). This new arrangement is much more satisfactory for me. Not hearing from Microsoft is like not hearing from Revenue Canada (Internal Revenue Service). "Learn Visio 2000 for Advanced Users"
"Learn to Diagram with Visio 2002"
Through to the Visio 2000 series, my books were the best selling books in the market. And then Microsoft decided to publish its own book, "Visio 2002 Inside and Out." And it killed the market for me and the other authors, just as Microsoft has killed so many niches of the software market. Here's how badly the market died. The 2000-series of books sold so well, that I hired Frank Zander to write two chapters on programming VBA in Visio. I paid him $1,500 for the work. "Learn Visio 2002 for Advanced Users" sold so poorly that it didn't even make enough royalties to cover his pay. The Microsoft Press book became the best seller, which was too bad, because it was written as if it had to pass approval by its marketing department. Readers won't find a single reference to a problem, bug, or difficulty in Visio. Bitter? I sure am. A series of books that gave me tens of thousands of dollars income a year was killed off by a company with $40 billion in the bank. The monopolist didn't need to choke off the modest income for a half-dozen authors, but it chose to do so anyhow. Reminds me of a saying: "What's your's is mine, and what's mine is mine." My second last experiences with Microsoft came through Visio. WordWare Publishing asked me to write a tutorial book on Visio, and it sold so well that I wrote several. While Visio Corp was still independent of Microsoft, the company treated me very well. So that I could write a better book, they sponsored me for a week's training in shapesheets and the like. Microsoft bought Visio for $1.3 billion in January 2000, and the software became nearly invisible. Aft first, I was treated well, because I was still dealing with many of the same employees. But in amongst all else, I could see The Signs heralding the future downward spiral. Some six months alter, I was invited to meet with the Visio people under the new management, to talk strategy and the future of Visio. The previous Novbember, I had launched an email newsletter along the lines of my successful upFront.eZine. Visions.eZine targetted Visio users, and Microsoft agreed to fund it with advertising -- as Visio before them had funded other Visio publications. 1. A mailing list of at least 1,000 subscribers by the end of the first year. It is close to the first anniversary (Nov 17) of Visions.eZine, and neither goal has been reached. And so for that reason, I am closing down Visions.eZine. ++ "Technical Design Solutions" had been a quarterly print magazine for Visio Technical and IntelliCAD users. ++ "Design-Drawing.Com" had been a monthly Web magazine for Visio users. ++ "Smart Solutions" had been Visio's own quarterly print magazine; recently converted to a Webzine posted at the Microsoft Web site, and the only remaining Visio publication. I'd like to thank all of you who supported this effort. This is the last issue; the Web site at http://www.upfrontezine.com/visions will continue to exist, with its many tips and special reports. To borrow a quote from Steve Ballmer, Visions.eZine has been "interesting, but not overwhelming." "We're not far from fostering greater productivity with Google's name on it." The CIO earlier notes how productivity increased when software moved from mainframes to desktop computer; he figures the next leap will occur once Web-based apps are stronger than those running on desktops. Why will Google win over Microsoft and others? + Google is unencumbered by legacy architecture. + Google has a utility computing infrastructure already in place that more advanced than what any big enterprise IT vendor can at this point offer -- even Microsoft is only in the planning stages for that. + Google offers more than a search engine, something William Gates III is blind towards, at least in his public utterances. + Google increments a larger set of simple flexible services, leaving it to individual businesses to join the services into what they need -- creating the new corporate IT architecture. + Google understands how the Web can be made the new desruptor, just as the PC was 20 years ago. + Google doesn't need to worry about protecting the profits generated by an aging OS and apps (Windows and Office). A quote from a Google manager implies the company will have business services deployed in 5-10 years. Despite all this, the past is not dead. Carr reminds us that Cobol still performs useful work running on mainframe computers. That was the mistake of the Internet bubble of 1998-2000: nothing shifts overnight, and nothing shifts absolutely. After all, I still use email software written ten years ago. It works just fine. Several posts ago, I described Microsoft Marketing's tactic of inviting in a group of users to talk about how they employ software in their narrow niche. The true aim is to use the invited opinion-leaders to spread the word about the new software relatively cheaply. It appears Microsoft continues to use the tactic. " Dean" of UBC Google Scholar Blog.folio and other librarians were invited down to Seattle. ...a group of librarians and information professionals (and, as we learned yesterday, a number of publishers) were brought in to review Microsoft's Academic Search. The librarians were asked to comment on the concept, look and functionality of the tool, one that is designed to go head-to-head with Google scholar. Get it? Make them feel important by asking for their input. I doubt Microsoft will implement any of their suggestions, except by coincidence, judging by the comments of another librarian on his blog. The real purpose, of course, was for these librarians to rush back to their blogs and blab about it. For a pretty low price, Microsoft gets peers to do the marketing. (I'm pretty sure Microsoft Marketing would have invited only librarians with blogs.) After all, the Web is crowded and it's hard to stand out anymore. Another librarian blogger noted that there were some items he could talk of and not of other features. Again, there's that control tactic. Release one batch of information before the release date, and then a second wave of (newer) info on the release date. My children -- in many dimensions they're as poorly behaved as many other children, but at least on this dimension I've got my kids brainwashed: You don't use Google, and you don't use an iPod. Atheists complain about religious-minded parents brainwashing their children with anti-facts (faith), but here is the head of the most influential technical company (well, maybe Intel is) in the world brainwashing his kids with anti-faith (facts). Now who's irrational -- the technonerds or the there-must-be-more-to-life-than-what-our-brains-can-sense crowd? Reminds me of me and my kids. When they were young, I brainwashed them about the terrible nature of McDonald's meals. I had stopped going there in 1979 after I had four too many hamburgers with a pink stripe through their middles. In elementary school, they went on a class trip to see how a McDonald's operates (now who's into brainwashing?). My son came home that day, breathlessly announcing to me, "Dad, they don't put ground-up shoeleather and earthworms in their hamburgers!" Score one for the rationalists. A decade later, and our kids have discovered for themselves that they don't particularly care for the food products sold by McDonald's. Here's the irony: my middle daughter last week interviewed there for for a summer job. Back the the Ballmer quote. This could well be why Microsoft is flagging. Its size is a problem, but having blinders on is the equivalent to corporate murder. I don't care much for Intel either, but former CEO Andrew Grove's book title, "Only the Paranoid Survive," says it all. It's a problem if Ballmer's not getting feedback from his own kids about two of the most important products for teenages -- Google for research and iPods for coolness. Of course, there is the spin angle. Ballmer's handlers from Edelman (perhaps?) are telling him to make negative comments about his primary competitors in a homey, believeable fashion. "Gosh, I would never let my kids play with stuff that darn dangerous." In the end, I don't deny him his right to raise his children with whatever cultural restrictions he feel appropriate. After all, I refuse to take my kids to DisneyLand/World, because I'd rather spend the money on taking them to the real California, the real Washington DC, the real New Zealand, and the real Europe. Why Do I Need Vista? In my younger years (and when I still lived near Jericho Beach in Vancouver BC), the lyrics from one mid-30s female singer at the annual Folk Music Festival stuck with me: "Ladies! Can you hear it? It's your biological timebomb." The dilemma of holding off having children, yet knowing the deadline was approaching. Microsoft makes money automatically and monoplositically because its software is installed on nearly all computers sold. The consumer gets XP (and next year, Vista) "free" with the purchase of a new computer. With computer technology stalled (except in the area of graphics boards for games), consumers have little need for new computers. Hence Microsoft pledging to spend a half-billion dollars on convincing consumers and businesses to be unsatisfied with 98/Me/NT/2000/XP -- you know, all those other really great, mind-blowing, all-capable releases of Windows. In the meantime, the discussion of how you'd sell Vista in 30-seconds to a non-techy consumer hasn't come up with much Abbie-understandable reasons other than "cooler games!" Sure, Abbie probably spends a lot of time with solitaire and minesweeper, so that's good. But most of it focuses either on issues so deep and technical that the average consumer is going to shrug and say, "H*ll, I don't think I need any of that!" or on issues that make you think that XP is a ticking time-bomb of unstable code ready to explode 1s and 0s over anyone who looks at it wrong. And as for Alpha Geeks and super-users, it sounds like LUA [Least-privilege User Account prevents access to Adminstrator privileges -- another Vista "feature"] is going to be a daily pain in the patootie. And that, folks, is the best that the smartest people in the world were able to come up with. Mini-Microsoft her/himself wishes the entire Windows management team would get fired for endangering the rest of Microsoft. Am I Smarter than Bill Gates? There was a time, before his handlers reigned him in, that Bill Gates would respond to media questions with this preface: "I don't know how technical you are...". His arrogance resurfaced last week in the widely publicized putdown of competitor's attempts to bring computing devices to the Third World. * When Bill Gates predicted the TabletPC would be the most popular computing device by 2006, I disagreed, and I was right. * When Microsoft said Windows Vista would ship in 2006, I said 2007. And now Microsoft agrees with me. Shouldn't I be the brains behind Microsoft? And the new ultra-mobile personal computer will fail, too. Awkwardly named the UMPC, it is a niche product that fills the needs of Microsoft, but doesn't fil the needs of consumers. We already have ultracompact PCs with keyboards: they're about half the size of a regular notebook computer for about $1500. But they don't sell, because if they did, every manufacturer would be hawking them. We have ultramobile-ultracompact PCs -- aka PalmPilots -- hugely popular, because they are the right size. Why will the UMPC fail? Two reasons: (1) the term is ugly; and (2) the product is too big. Customers won't like the term "UMPC," because it is hard to pronounce, and because it sounds much like a dangerous political party. When they don't like the name, then they don't want to be associated with it. "iPod" is meaningless, but it sounds cool. It has the self-referential "I" combined with the hard-consonant "Puh-od". Better names would be been "mi PC" (my PC and mini PC) or "rPC" (our PC). Customers won't see the UMPC as a smaller notebook computer, but as a larger PalmPilot. And Microsoft growing the size won't make sense to them, when everyone else is making products smaller. My 3rd PalmPilot is smaller than my first. Cell phones, digital cameras, MP3 players, and cell phones are all thin, thin, and small. The consumer will ask herself, "Will the UMPC fit my purse?" It won't. The UMPC has other problems, of course. PalmPilots run all day (and longer) on a single charge. When consumers see UMPCs as big PalmPilots, then they will expect big battery life. It doesn't. I have a older computing book I keep in my bookshelf-lined office: "The AT&T EO Travel Guide." It's there to remind me that exquistly-planned, ideally-spec'ed, strongly-backed products flop. You may have a similar book on the Apple Newton. You know the concept is in trouble when the official UMPC Web site asks, "How can you use your Ultra Mobile PC?" 1. Bidirectional software firewall -- already have that through the free ZoneAlarm. 3. Righteous eye candy -- I always turn off all effects, such as cursor drop shadow. The only effect I use is font smoothing. I don't want more effects I have to turn off. 4. Desktop search -- call me when desktop search reads PageMaker documents. 5. Better updates -- whatever. The current system works for me. 6. More media -- prefer products like CDex. Quintessence, and AR Wizard. And most skins are ugly. 7. Parental controls -- the correct method is to teach your children how to handle the Internet; after all, one day they turn 19. 8. Better backups -- don't expect a good product from Microsoft, because they can't compete free against third-party vendors. 9. Peer-to-peer collaboration -- tried Groove, don't use it. 10. Quick setup -- happens only once (or not at all on new machines). 1. Pay that piper -- you have to pay for the Vista upgrade, plus a lot more for hardware (and maybe software) upgrades. 2. Where's my antivirus? -- it was in MS-DOS v6. Why not now? 3. Watch that hourglass -- Vista is a power hog. 4. Curse the learning curve -- it took him 5 minutes to find the Run command. 5. Meet the old boss, same as the new boss -- some features are just warmed-over fare, he reports. He leaves out the worst new feature: DRM, where Microsoft assumes you are already guilty of copying, never mind if it's legal. Microsoft in Office 2007 shocker: What was wrong with Office 12? The accompanying article makes no mention of it, but the headline is poking the eyes of Microsoft Marketing with a blunt stick. I've mentioned before how Microsoft Marketing uses psychological warfare to keep reporters in line. One of the threats is against calling the next release of Office by its real name until permitted to do so. Toe the line, you keep on being fed. Microsoft marketing uses a variety of psychological tricks to control journalists. These typically consist of making silly, inconsequential demands. One example: journalists will be told they cannot mention one specific feature, or cannot show screen grabs. When a new release of Office is in beta, it is given a name. For example, "Office 12" noted above. Mentioning the real name, "Office 2007" is a violation of the NDA (non disclousre agreement) along with loss of access to pre-release software, et al. Note this detail in the quote above: Mr Bink makes it clear that it was Microsoft who broke the NDA, not him. Fear abounds. Microsoft shunned me after I made mention of "Visio 2002" (aka Visio 10) after another site made mention of the name based on logical speculation. Not that I minded. As a journalist, I like being ignored by Microsoft, because then I don't feel the need to kowtow. Recently, someone from Microsoft emailed me a request to talk to me about some misundertandings on my blogs. I replied, "Sorry, no time right now." I'm too busy being free of Microsoft. And I still have more horror stories to relate another time. For final years of the 1990s, I had no contact with Microsoft marketing, to my relief. In 2000, this changed. A tributary of the The Microsoft Chronicles involves Visio, the maker of a diagramming software package. Visio was located in Seattle (near Microsoft) and always made its software very compatible with Microsoft's. 1. Visio stock was languishing, while Microsoft's was galloping upwards toward $120. 2. Visio sales would benefit from Microsoft's international sales force. * The Visio software worked so well with Office that there was little Microsoft could do to improve the situation. * Visio had no significant competitors, nor did Microsoft need to fend itself from diagramming competitors. * Visio had a vibrant developer community, so that didn't need boosting. - In early 2000, the Internet bubble popped, and along with it, Microsoft's shareprice began its slide to today's price of the mid-20s. - As a result, Visio shareholders got far less money than they anticipated. - Visio executives, who used to hold titles like president and CEO, suddenly were "demoted" to the level of vice president. Within six months, several high-ranking Visio employees left Microsoft. - Software sales of Visio were internationalized, but also marginalized. Microsoft salespeople have hundreds of products to sell; to them, Visio was just one more stock number. - Visibility of Visio plummeted, as it had to take its turn in the Microsoft PR machine. Prior to the sell-out, Visio could ship press releases several times a month; now it rarely ever gets a mention. - Microsoft's agreement with Autodesk, in whatever form it might take, meant it no longer pursued AutoCAD-compatibility. Indeed, Visio 2002 had more problems reading dwg files as did Visio 2000, and Visio Technical was turfed. - Development ground to a crawl, with three years between releases. This is background for my second battle against Microsoft Marketing. This time, though, I was prepared. Perhaps the strangest incident of Microsoft marketing's anti-media campaign I experienced was The Strange Incident of the New President. I was a part-time editor at a city magazine, which had decided to add a four-page computing supplement. We had no problem getting editorial content; we needed advertising to fund the fledgling effort. Around this time, a Microsoft marketing firm invited us to the downtown office to meet the new head of Microsoft at an international division outside of the USA. Ah, a human interest story, perked up the managing editor of the magazine. So we headed downtown. The managing editor and I crammed into a tiny interview room with the new prez and a PR [public relations] woman, and we did a Q&A. Then the PR person got a phone call and left the room. The managing editor and I figured this was a great time to pitch the new prez our new supplement, and would Microsoft be interested in supporting us with ads? The normal routine is for a corporate president to feign interest, and then give the name of the proper person to contact for such lower-level activity. Instead, this guy froze up, looked panicked, and began to sweat. He didn't say a word. The managing ed and I looked at each other, and shortly thereafter the PR person returned. Afterwards, we left, disappointed. We had no story (the new prez clearly didn't understand the business yet) and no ads. The next day I received a call at home from the PR person, who began yelling at me. How dare I speak to the president (1) about such topics and (2) when she was not present. I apologized, because I didn't know how else to react. Later in the week, when I was back in the offices of the city magazine, the managing editor told me she got the same threatening phonecall and had been in tears. It was then that I first understood Microsoft is evil. I since learned from other editors that this was standard operating procedure for one Microsoft's marketing/PR firms. Scream at the media to get them into line. Didn't work for me, and knowing that was useful when a similar tactic was tried on me year later -- but that's another installment. - Was the shortage artificially created by Microsoft? - Was the demand created by a few gamer crazies who buy the first new gamer box, no matter the brand. - Were the shortages caused by the 44,000 sold on eBay? No matter, what the cause, Microsoft marketing did its share in hyping the potential frenzy. As I documented in an earlier posting, Microsoft reported on the expected lineups and shortages a day before the gaming computer went on sale. The hubris then extended to other parts of the world. "Demand is just stunning, overwhelming," he said, after Microsoft launched the gaming computer in Japan. How stunning was the demand, Mr Moore? Just 38% of available units sold during the first weekend, reports Enterbrain, publisher of a Japanese game magazine, "Famitsu." "I feel sorry for them since they had put a lot of effort into promoting Xbox 360 in Japan," adds Deutsche Securities analyst Takashi Oya. I don't know that you can feel sorry for hubris. Microsoft made a big deal over the Xbox 360's design being Japanese-inspired. When you compare it to the new units from Sony and Nintendo, you understand the underwhelming demand in Japan. Microsoft claimed the two products were different: "...the source code for the kernel has embedded statements -- #ifdef statements. These cause the compiler to produce different executables depending on whether the target is a server or a workstation." Petreley revealed the lie: the core of the two products was identical -- "...Windows NT's own file-compare program will show that Workstation and Server kernels are identical," he wrote. Andrew Schulman of O'Reilly & Associates found that the only difference was settings in the registry. Why was this important? Windows NT Workstation could be made to perform just like Windows NT Server just by tweaking the registry. Yet Microsoft charged a lot more for the Server version, claiming there was a difference between the two products. Petreley relates a second story of Microsooft revealing the then-new Plug'n'Play APIs to select hardware vendors, but publicly Microsoft denied the APIs existed. Who do you believe? "The predisposition to lie also draws suspicion in every questionable situation." As a result, we now automatically disbelieve Microsoft based on past patterns of its behavior. I am of the opinion that this behaviour goes all the way back to the earliest employess of Microsoft telling IBM they already had an operating system available for the not-yet-released IBM PC -- but then had to buy one, because Microsoft didn't have any OS. You get a sense of the rationalization at work: we have an OS [once we buy one]. NT Server costs more than Workstation because they are different [in their registry settings]. There is no Plug'nPlay API [because we haven't made it public yet]. You need to understand that Petreley's column in that issue of InfoWorld was stunningly brave. For the first time, a journalist got past being cowed by Microsoft's marketing and PR people, and called Microsoft on its bluff. Until then, journalists knew stuff was rotten, but didn't dare cross the Most Important Software Company in the World. In part, because they didn't want to lose the perks they got, such as free software, invites to Important Events, and access to Microsoft executives. Why spit in the gravey train? Petreley broke the taboo, allowing other journalists to speak freely about Microsoftian marketing tactics. To criticize Microsoft was no longer the domain of the insane. Later, when Microsoft was found guilty of monopolistic behaviour, some the mainstream press also became more critical, although some, like the CBC, continue to fawn. I finally let Windows XP SP2 into my office through a Trojan Horse: a new Compaq notebook computer. It sports a sticker: "Designed for Windows XP." This means that the hardware and operating system work well together -- although, given the post-modern philosophy infecting our society, it could have no meaning whatsoever. Which, as this story illustrates, is the better interpretation of the sticker. Getting the hotel room, I plugged it in to recharge. There was about 10% charge left, and the little lightning bolt icon appeared to indicate the battery was being recharged. After a few minutes, a yellow Microsoft help balloon appeared: "Your battery is low. You should recharge it soon." Which is why I am not excited about Vista. ...it still doesn't know the battery's already being recharged, I hold out little hope for future improvement. The Microsoft marketing event that began to sour my opinion of the software monopolist was the launch of Word 2. 1. Quick notes -- I use Notepad. 2. Email - I use Eudora. 3. Lightly formatted documents, like letters -- I used WordPerfect at the time. 4. Heavily formatted documents, like desktop publishing -- I use PageMaker. Myself and about a dozen other writers (book authors, computer paper editors, etc) gathered in a conference room. As I recall it, Microsoft employees and marketing people listened for a while as we talked about how we created documents. After a while, the head Microsoft guy got a smarmy smile on his face, and then introduced the brand-new Word 2 for Windows. Each of us was given our own copy, and then sent home. Microsoft marketing had no interest in authors' problems; they wanted to seed the market with their brand-new Word 2 among opinion makers. The fax asking for our input was a ruse to get us to show up at the meeting. I did use Word 2 for a number of years, because WordPerfect for Windows was a disaster. I now use Atlantis. Fast forward to 2005: I notice that the next release of Word is centered around major tasks -- Quick Text Formatting, Write, Page Layout, and so on -- mimicing the content of the presentation I made to Microsoft Canada more than a decade ago . "The campaign, which could cost millions of dollars, is designed to generate positive stories at critical junctures in Microsoft's legal battles. One round of stories, a document says, 'will coincide with April 21 oral arguments' before the U.S. Circuit Court of Appeals on Microsoft's motion to disqualify Lawrence Lessig as special master in Microsoft's antitrust case." Some years back, Microsoft practiced a lot of dirty tricks using online mavens to go into forums and create Web sites extolling the virtues of Windows over OS/2. They were dubbed the Microsoft Munchkins, and it was obvious who they were and what they were up to. But their numbers and energy (and they way they joined forces with nonaligned dummies who liked to pile on) proved too much for IBM marketers, and Windows won the operating-system war through fifth-column tactics. Mr Dvorak wonders if Microsoft is today using reverse-dirty-tricks to promote the Xbox 360: pay people to create Web sites that slam the gaming computer in order to provoke a barrage of defenders. I've dealt with Microsoft marketing since the early 1990s. At first, I was flattered to be noticed by the most important software company in the world. But then things began to puzzle me. An editor for a Canadian computer newspaper, for example, would asked hard questions, and Microsoft marketing wouldn't particularly answer them. That was the first thing to catch my attention. Then strange things happened to me, and by the mid-1990s, I began to read the experiences of other editors as they finally became brave enough to expose rot behind the aura of hubris Microsoft marketing cast about the company. These "Microsoft Chronicles" are the stories of my experiences with Microsoft marketing. In the early 1990s, Microsoft marketing was getting us computer journalists excited about the promise of NT, and they kept emphasizing its security. Heck, they even gave us copies of their "Inside Windows NT" book Microsoft had self-published (complete with "NT Promo NonUSA" sticker). Over and over again we were told, NT was a C2-level secure system certified by the USA's National Security Agency, no less. That puzzled me, however, because security was not an issue in the early 1990s. Few comptuters were networked, and almost none connected to the outside world. In those days, the primary danger came from sharing floppy discs infected with virii. - NT was not secure in other areas, so let's emphasize C2. - Microsoft is insecure in its ability to sell NT to large corporations, so let's emphasize C2, which they might like. - NT was overly secure, so let's make the problem a feature. The last reason was the correct one. The early releases was so secure that device drivers had problems working NT. Device driver problems = perhipheral problems. I recall the constant C2 drumbeat washing over me. The American security designation was meaningless to us Canadian journalists. And besides, this was pre-Internet, so we couldn't research what C2 actually meant. That changed when InfoWorld's Nicholas Petreley exposed the C2 scam in 1998. (You can read his expose here.) Basically, the C2 designation was valid only if the computer has no contact with the outside world via a network -- making it useless. You won't read that in Microsoft's loftily-written "Windows NT: C2 Security Overview," and the " "Inside Windows NT" book also leaves out that detail. The entire C2 incident reminds me of the Proctor&Gambles of the world buying endoresement seals for their toothpastes.